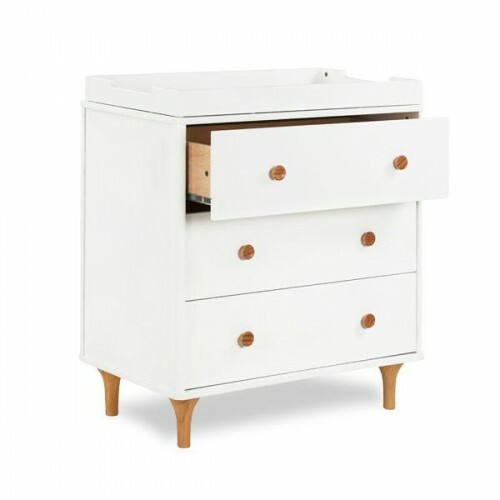 Enjoy the playful modernity of the Lolly 3-Drawer Dresser. 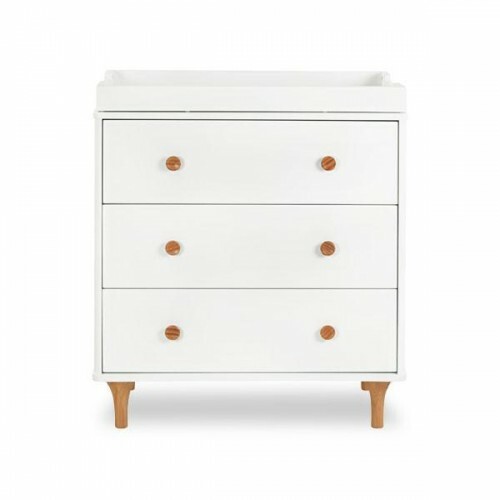 With natural curves, delicate natural feet, and an included removable changing tray, the Lolly Dresser is a perfect complement to the Lolly 3 in 1 Cot. 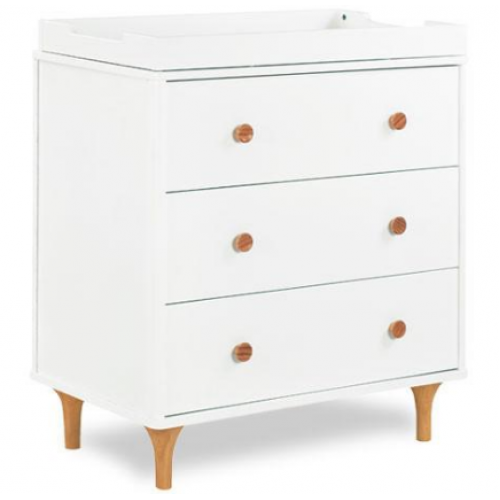 Pairs with Babyletto Lolly Cot in White and Natural.